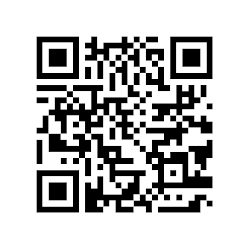 So, what are my thoughts on resilience? I firmly believe that it is one of the key qualities that should be taught in school - especially in the early years. 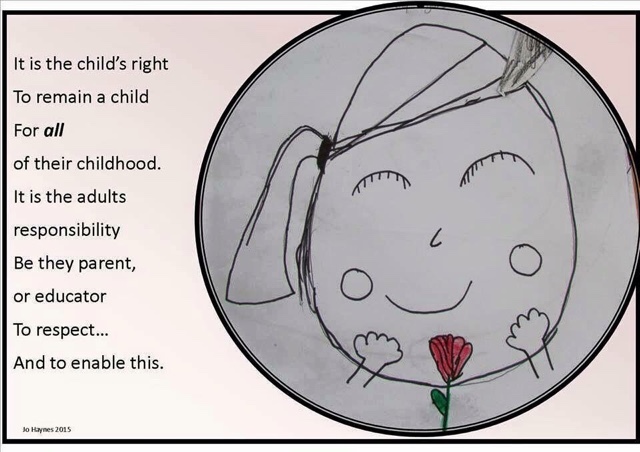 If a child has resilience they will be able to cope with whatever life throws at them without it crippling them. I think that self-esteem and resilience are complimentary but not necessarily both needed in equal quantities. I think that resilience is best built up outdoors where young children learn to fall and get up again, to fail at certain tasks but to keep trying again and again but primarily thought play. Resilience takes time and practice and will not develop overnight, I have talked before about how young children will complete a puzzle only to tip it out again and again until they can do it in minutes with no help at all - repetition is how we all learn but sadly I think many adults don't get the same opportunities for repetition. A few years ago I took part in a 'Pay it Forward' with other preschools around the globe and my class received a package from Ayn of Little Illuminations - in the package were 2 Pete the Cat books. Little did I know how these books would become such a firm favourite with my class every year and that these are a great book for 'teaching' resilience. On non-uniform days some children will appear in white tights and invariably they will fall in a muddy puddle in the playground. Before they begin to cry at the sight of their previously pristine tights I will remind them of Pete the cat & his white shoes - they then usually laugh and begin to sing 'I love my muddy tights'!! Unfortunately as long as our education system focuses on results and grades rather than skills more and more children will learn to give up at the first hurdle. How many of us dropped a subject at secondary level because we knew we wouldn't get a good grade it in? I like that our preschool curriculum in N.I mentions perserverance as a skill - this is something that will always help later in life too. Whilst children need resilience it is actually as adults that we probably encounter more obstacles and this skill comes into play. It's what makes some of us laugh during particularly hard times and know that it will pass and it's not the worst thing that can happen. This September we had 2 children stung by wasps and for one poor child it was on his very first day of nursery. His resilience ensured he was able to come back the next day and go outside whilst many would have refused to come back and we most certainly were prepared for him not wanting to go outside. A few weeks later and another child was stung again, as he cried he kept saying 'When will it stop hurting?' - he already knew it was temporary and his resilience allowed him to concentrate on his pain free future. So for 2016 I will continue to encourage the children in my class to keep on trying again and again and accept that things won't always go according to plan but that the world will keep on turning regardless! I came to teaching later than most - 8 years in fact - and I did a year of training through the Post Graduate Certificate in Education(PGCE) in Primary. However, I knew I wanted to be a nursery teacher so was prepared to go back and do further studies when I graduated as a teacher so that I could compete with those who had trained specifically in early years. I went on to do my Diploma in Advanced Studies (DASE) in Early Years over 3 years as a part time student in the evenings. This further study provided me with more in depth knowledge than had been possible during the 1 year PGCE, the fact it was completed alongside my day to day teaching in nursery also made it much more relevant than any other post teaching studies. It helped to make me more confident in my approach as I learned about the various theorists and advocates for early years. It meant that I was able to stand up for a play based curriculum with a bank of experts to call upon to back me up. Every nursery teacher approaches their job differently and the preschool curriculum in N.I allows us a lot of freedom to interpret it as we wish but I have found that by having a further layer of knowledge I can stand up much easier when the downward pressures of the school curriculum try to creep into nursery. 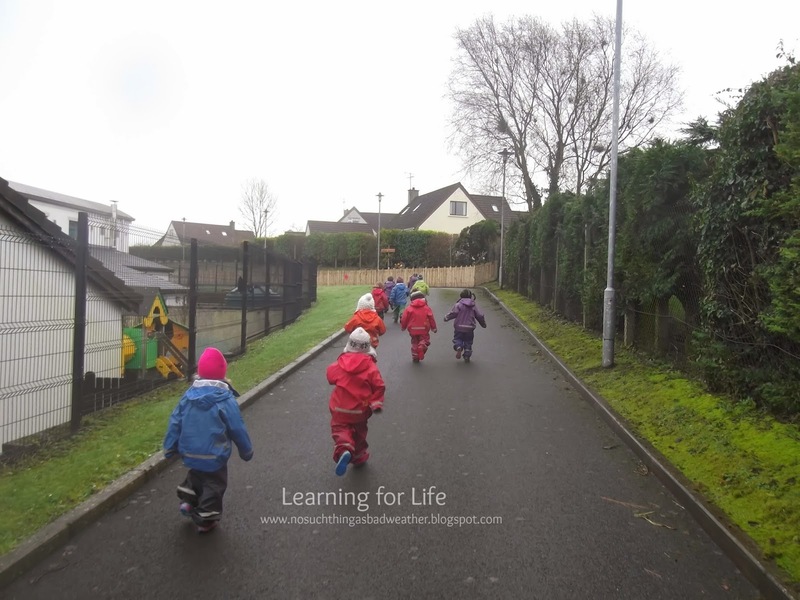 I can say with confidence that I firmly believe there is no need for nursery children to have an allocated P.E time in the main school hall - they get all the physical development opportunities they require during high quality outdoor play. Unfortunately there is very little continued professional development (CPD) for teachers now and little encouragement to do any further studies after initial qualification. 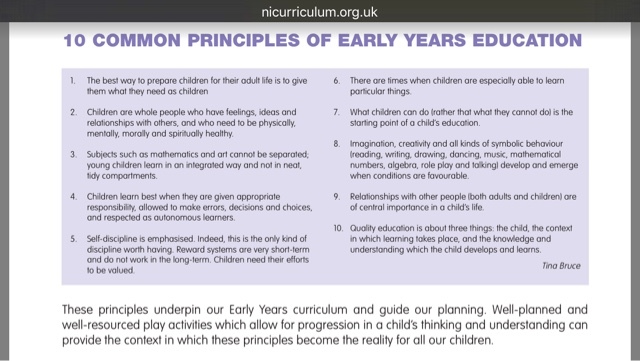 Therefore they are lots of teachers in early years settings who do not have this same depth of knowledge or confidence in their practice - they know why they want their young pupils to learn thorough play but they don't quite know how to articulate this to others. More children attend nursery units - attached to primary schools - than stand alone nursery schools now in N.I. Yet many of the teachers work alone, with no other direct colleague and have to fight to be heard by management and some have to really stand firm against pressures to make the nursery class more like a foundation stage class with lots of very adult led structured times in the day e.g. circle time, primary movement, P.E etc. A high quality nursery day is supposed to offer long periods of uninterrupted outdoor and indoor play as well as a 30 minute story time but often teachers are under pressure to constantly stop play to shoe horn more structured learning times into the day. Therefore we need to form our own clusters to provide professional support to each other and those of us with more experience need to ensure we reach out to newly qualified colleagues or those new to their jobs in nursery units and playgroups. It is all about ensuring we stand up for our pupils to have the opportunity to learn in a play based environment and I would argue to actually help our colleagues in primary to see the value of a play based curriculum and how it is the best way for young children to learn. EPPNI research (https://www.ioe.ac.uk/EPPNI_full_report.pdf) in 2010 found "Children who attended high quality pre-schools were 2.4 times more likely in English, and 3.4 times more likely in mathematics, to attain level 5 than children without pre-school experience." and this backs up the argument for highly qualified staff who can articulate with confidence why they are providing such a play rich environment in preschool. I once heard an inspector say that as long as you could justify what you were doing in your practice, they would have no issue with it. I have always kept that to the forefront when planning anything in my setting. I do worry about practitioners who see an idea on social media & then try to replicate it without understanding where the original practitioner has come from or their environment, my main concern is sustainability - if you don't understand why you are doing something, you won't know what to do when it either goes wrong or someone challenges you. Like the young pupils in our care we do need to keep on learning and questioning and we need to be as open-minded as possible to new ideas and challenges but always keep in mind those many, many experts who have come before us and who have become advocates for young children and their right to a play based learning environment. For me the key is continuing to network with like-minded individuals around the world so we can share ideas and stand up for play and this also helps me to build my knowledge and gain more kudos of my approach. Here's to a 2016 filled with loads of high quality play based learning environments for all. Enjoy the moment for what it is. Taken last Christmas, my dad was dead on the 15th Jan.
For the past 3 Christmases life has been very different for us as a whole family and yet as I look on each of those Christmases, at the time, they were better than the next! In December 2013 our niece was in a medically induced coma after a car accident and we felt this was the most horrible Christmas for a long time, only to sit a year later with the massive void of my father-in-law and sister-in-law who had died within 4 months of each other. 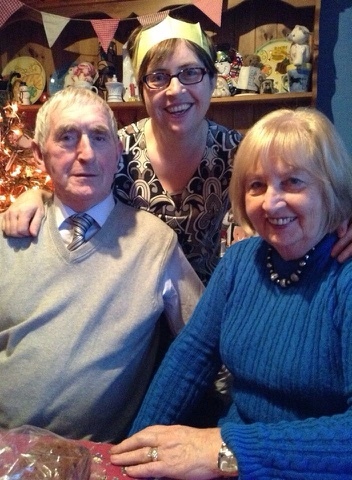 However, as we sat eating our Christmas dinner remembering Alphy & Nuala, little did I realise it was to be the last for my own dad, Desmond, who took ill suddenly and died in the 2nd week of January. So this year, rather than dwell too much on what is missing or more importantly who is missing, I have decided to enjoy the moment for what it is. I will celebrate being with those I care for & love and the fact that once again, in the hardest times family & friends rallied around us and made a nightmare situation bearable. As we gather to eat Christmas dinner in 2015 we will fondly recall how much my dad loved his food and the fact that every year after his dinner he would sit back, pat his stomach and say 'I feel sorry for anyone who dies before they get their Christmas dinner.' At his wake I heard it said many times 'At least he got his Christmas dinner' so he must have mentioned his big 'fear' to others as well. My wish for 2016 is that it is a kind year to those who have had a lot of heartache and that those who will experience sadness find the strength to cope. Here's to Desmond, I sincerely hope they have lots of buns in heaven and Christmas dinner every day! Last week I was sitting on a tree stump in the fire circle waiting for some (imaginary) hot chocolate that one child was preparing on our outdoor fire, I had around 6 children all around me and then one little boy asked me "Do you have to go to work some days?" After smiling, I explained that as his teacher that was my work. He then had a discussion about how his mummy and auntie go to work and he wondered out loud whether everyone had to go to work. Some of the other children piped up to explain that their mummy worked at home minding the baby & one girl told him that her mummy worked inside the house but daddy worked outside the house! My colleagues and I laughed at this question later on & I joked about whether I should be insulted or complimented, we decided it was a huge compliment and I was reminded of the saying that if you find a job you love you'll never work a day in your life. Getting to sing around a fire - can this be described as work? Teaching is a weird job to describe, it it often referred to as a profession, yet you train to be a teacher as opposed to study. We are also paid a lot less than other professional and are actively encouraged to be union members, so again more like a trade than a profession. Outsiders criticise teachers for working short hours, Monday to Friday and only 10 months a year and they always harp on about the paid holidays. I don't know any teacher who works 9-3, my day is usually 8-5 and we have many extra evening events throughout the year to attend with no overtime, flexitime or bonuses in sight. BUT and it is a major but, I wouldn't do any other job, teaching is a true vocation and the majority are doing their job because they feel passionate about working with young people and not because of the holidays or pay. I am doing a steps into leadership course this year and was paired up with a secondary teacher in a coaching session to talk about our jobs and what we love about them. I loved listening to my colleague talk about her pupils and job with such enthusiasm as sometimes secondary teachers can be very jaded and cynical. I could see her passion for her job shining through and it reminded me of why so many of us get into teaching; to help make a difference in the lives of others, to inspire others to become life long learners, to be a steady constant in some chaotic young lives and to help ensure the next generation is equipped with skills to be active members of society. Teaching should not be merely about stuffing knowledge into pupils or reaching attainment levels, yes we have a responsibility to make sure our pupils acquire skills and knowledge but we also have to make sure we are educating rounded human beings. Paperwork is certainly becoming more and more of an issue but teachers need to never lose sight of the pupils in front of them each day. I have always said that even if I won the lottery I'd still keep on teaching and I mean it, I love being a nursery teacher and working with the youngest members of our school system. I am surrounded by 26 optimists 5 days a week, why would I walk away from that! 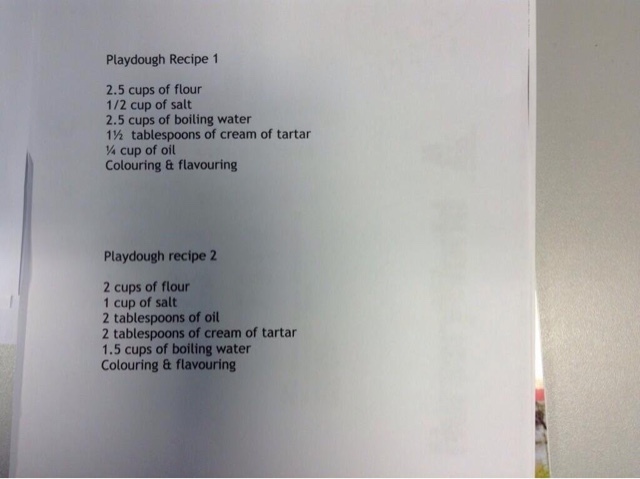 The Best Play Dough Recipe Ever - IMHO! 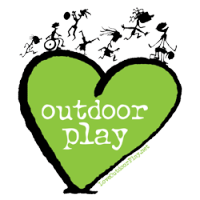 Four years ago I came across this amazing blog & their recipe for outdoor play dough on this blog: Exploring the Outdoor Classroom & I just had to try it. 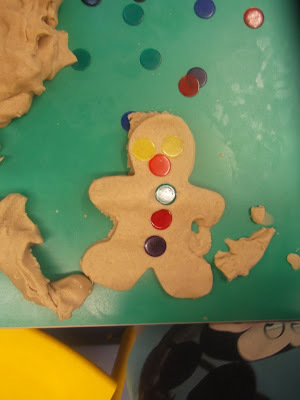 We had had terrible trouble making our play dough last in our new school as the underfloor heating seemed to make it dry up after a few days & become too crumbly to use. Usually it would last a month but we found ourselves having to throw it out at the end of each week & were constantly making new batches. I have of course since discovered that our damp climate does not lend itself to having play dough outdoors - it just goes all sticky so this outdoor recipe has become our staple indoor dough recipe with some adaptations. Each month we make new play dough, using the a colour we want to reinforce or a particular scent etc. and so far four years on, this is still working for us, best of all we can set the play dough out first thing and it is still soft and ready for use when we come inside to play after 45 minutes. And even after a month when we make a new batch, we can pass the old one to another class in the school and it's good for at least another month or so. The original outdoor recipe is much too 'wet' so we have combined our indoor and the outdoor recipes to make the perfect, soft, pliable dough. This month we added cinnamon & All Spice to make gingerbread play dough - the smell is heavenly and the children have enjoyed making gingerbread men & stars and buns with little coloured discs as buttons or decorations. 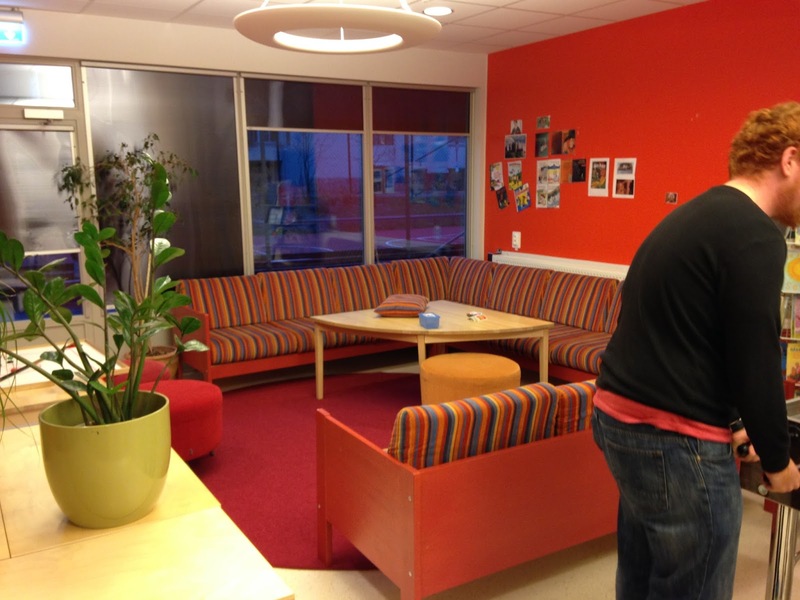 Last month I had the opportunity to travel to Stockholm thorough Meynell Games' Ip-Dip Dopp Mobility programme. The main emphasis behind this week long study tour with 8 other play workers, after school people & preschool leaders & teachers was to see how people are trained to work with school age children outside of school hours in Stockholm. On our first day we had an informal meet up with one of the main hosts of our tour - Eva - & we got chatting about after schools. I commented that our schools in N.I were not the place for any child to spend an extended day in, Eva replied, that I would soon see it can be done as that is exactly what was happening in Stockholm. We had the opportunity to spend a few hours in an after school leisure club (Fritidshem) on the Thursday. 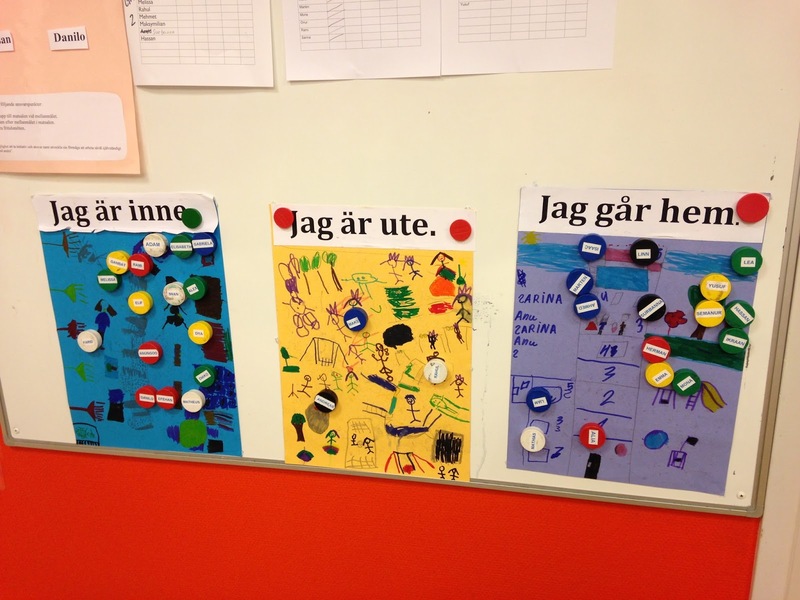 This was in a large modern school in the suburbs of Stockholm and most of the students availed of the opportunity to stay on at the school at the end of the school day - which is from 8.00-1.30. It is possible for a child to be on the school premises from 6.30-6.30 and the Fritidshem staff work shifts to ensure there are adequate staff/child ratios at all times. More homelike than school like. Whilst this school had incredible resource areas with sofas, kitchens & air hockey games, it was still a school environment. The children were engaged in a variety of activities - art, technology, jigsaws, traditional board games, cooking or indoor games & it reminded me of any afternoon in my primary school when there are a variety of after school activities on offer. As an introvert, I relish coming home from a busy social day at school to be on my own & sit reading or watching TV and I was the same as a child, I loved coming home and just relaxing, doing nothing or a solitary activity. Therefore I would have to say that the idea of attending something like the leisure club 5 days a week would have horrified me. I could see nowhere for a child to be alone away from the peers they had spent all day in lessons with. The wonderful Fritidshem pedagog who was showing us around was so helpful and answered our many questions with an unfailing smile and loads of patience. She explained that as she was also working with the preschool class (this is the first class in comprehensive school in Sweden for 6 year olds, also called 0 class but not compulsory) during the day and could therefore help consolidate any teaching that she felt children had struggled with during their time in the leisure club. This to me sounded like a homework club and whilst I can see how this would be of benefit to students who are struggling I was disappointed that the leisure club was not more about free play. During the 2 hour visit I didn't see any children playing outside, though one of the group told me they saw 1 child heading outside to play in the rain. I had a rose tinted view of education in Scandinavia that made me assume that I would see lots of great outdoor play at the school, with a playground full of loose parts and risky play. However, the playground was like many others I have seen in the UK with the ubiquitous fixed equipment and tarmac. I know it was a cold, wet day but it was sad to see so many children stuck indoors for the majority of their day. I am still trying to figure out all that I saw in the week I was there but I came away feeling that the children in my school are actually in a better position than their Stockholm counterparts, as many of them go home after a busy school day to their homes where they can relax away from their peers and we still live in a relatively safe society where many will be outside playing after school too. I think this is for cooking fish but it's perfect for toast! 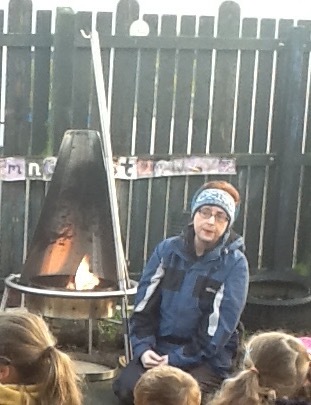 This year we have our outdoor day & cook on the fire on a Thursday when we have a wonderful parent co-working with us. This week we decided to cook some toast & offered the children a choice of butter, jam or cheese - or all 3 in some cases! This class are incredible at all gathering together as soon as I begin to set the fire, they get the mats out & place them round the seats & then all get a place & sit chatting to each other as the fire lights & we begin to cook. They are incredibly good at waiting as it can take some time for 26 children to all get their piece of toast & some were asking for more before others had even had their first slice. They all agreed that they could taste the fire on their toast & next week we'll break out the teacakes & toast them for a real Christmassy treat!! A bit watery but toast none the less! Afterwards some children went over to the forest area & began to cook their own toast, using sand, leaves & water & this part of the their play always makes me smile as they try to transfer what they experienced into their new play scenarios. It is wonderful to think that these children can play cooking on a fire with real first hand knowledge. As we spend the whole morning outside, they get the chance to play for a much more extended period of time & even managed to discover the joy of walking on the Bottle Babies too! !